Climbing Experience sessions. If you have a group that you want to be taken climbing (school group, youth group, family etc.) then this is for you. Those wanting to learn or develop the skills needed for independent outdoor climbing will find the course for them from our range of ‘skills’ courses. Guided experience. For individuals or pairs wanting the full adventure climbing experience. 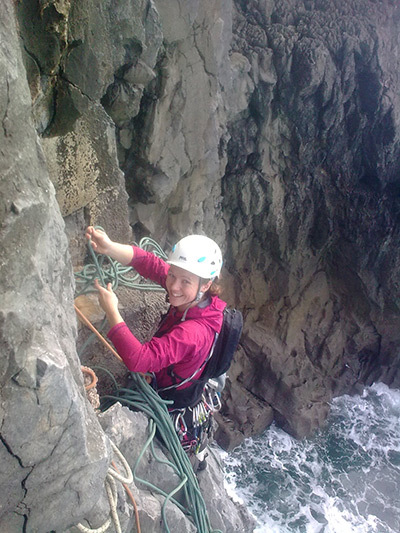 This can include climbing classic routes in the mountains or on sea cliffs. In addition we offer bespoke courses so if you want something that you don’t see here, please ask. 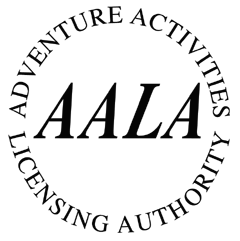 If you want advice about where you’re at with your climbing and how to take it forward then call or email us and we’ll be happy to discuss it. 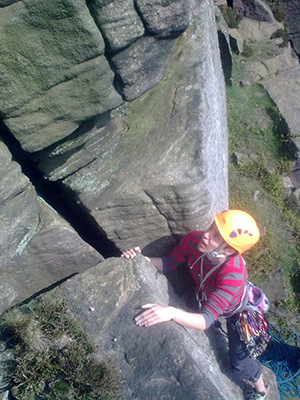 We run most of our outdoor climbing courses in Yorkshire, the Peak District, North Wales and the Lake District. If you have a different location in mind then let us know as we are often happy to run courses in other areas. Skills for Multi Pitch Climbing. Half or full day sessions climbing and/or abseiling at outdoor crags and shorter sessions (from 1 hour to 4 hours) on indoor climbing walls. Suitable for individuals as well as groups of all kinds; school and youth groups, stag/hen parties, work place groups, scouts, guides family and friends. 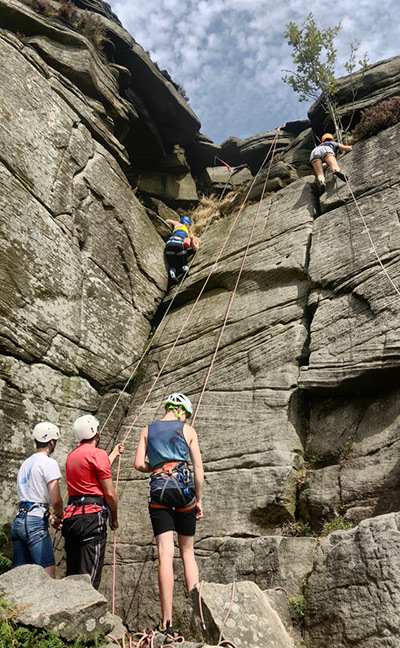 Example Price: From £196 for a one day outdoor climbing for up to 8 people in Yorkshire or the Peak District (£140 for half day). 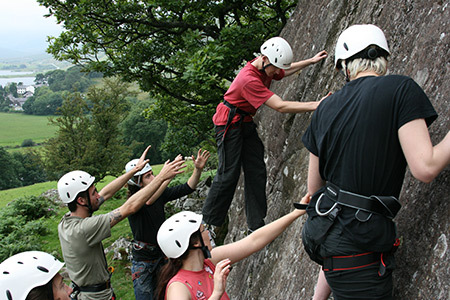 This 2 day course is for people who want to learn to climb independently outdoors. It covers the skills needed to climb at single pitch crags using top ropes; skills which will open up a huge amount of quality climbing to you across the UK. 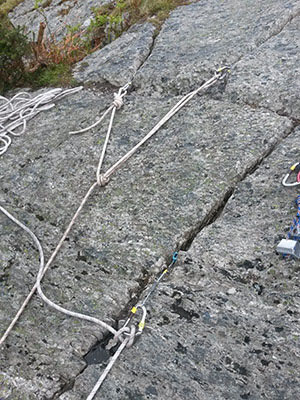 Top roping enables you to climb independently and is also a valuable building block for lead climbing. This course does not involve lead climbing. Example Price: From £329 for a 2 day course based in Ilkley. Previous experience required: Some outdoor climbing and/or climbing independently indoors. As with all our skills courses, the syllabus will be tailored to the needs of the individual so will vary from course to course. Learn the skills required to start leading climbs outdoors. This 2-day course is also suitable for those who are already leading outside but would benefit from some professional instruction to fine tune their skills. Group size: Up to 4 people. Experience required: Independent outdoor climbing and/or leading indoors. Please note that we do not guarantee that you will lead a route on this course. While this will be the aim it will depend upon the assessment of the instructor as to whether or not it is safe to do so. This assessment will take into account events on the day including the weather. In addition to this 2-day course we also offer 1 day and multi-day courses to provide a quicker introduction, a recap, or a more in-depth course. Please contact us to discuss a bespoke course. Learn or develop the skills for multi-pitch climbing. Making the move from single pitch climbing to multi-pitch climbing offers new challenges and requires new skills. This course covers the skills you need to move into the multi-pitch environment, including, for those that are ready for it, multi-pitch leading. For those who already have multi-pitch climbing skills, this course can be tailored to develop those skills to a more advanced level. It is therefore suitable for 2 climbers at different stages in their skills and abilities. It can also be booked for a single climber. Often booked as a 2-day course, this is also available as a single day for those wanting a quicker introduction or to fine tune their existing skills, and as a multi-day course for those who have the time to go into extra depth. Want to improve your grade, at bouldering, indoor wall climbing, or outdoor climbing? This is the course for you. 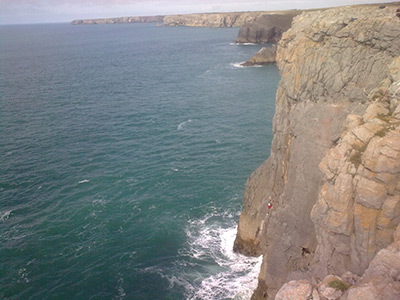 For anyone that wants to be taken multi pitch climbing, including on mountain crags and sea cliffs. This could be as an introduction to multi pitch climbing prior to going on a skills course, could be because there is a route you’ve always wanted to do, or could just be because you want the experience. Either way a day of guided climbing can make this happen. Like all our courses this is available as a gift. Suitable for 1 or 2 people. Price: From £195 per day. Liz wishes to convey her thanks as well, she says that your instructors were excellent, she has no complaints at all. Would you please in particular be able to pass on her thanks to Liz and Siobhan who did the climbing as they hadn’t come down with all their climbing gear before she and the girls left and could say a proper thank you to them – she says that both ladies were very patient and had excellent skills in coaxing and explaining to the girls, quite apart from clearly being very experienced in their climbing and abseiling. The girls also really enjoyed the adventurous walking and reported back that the instructors were great. All in all a very successful day and we would be very happy to use Lupine again and recommend them to others. We are a family of 5 ranging in age from 14 – 54 years old with virtually no climbing experience. 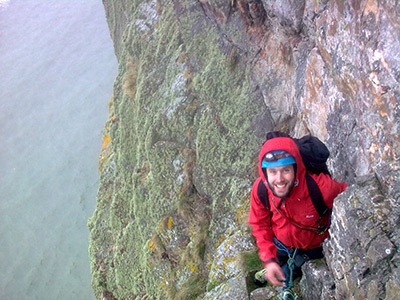 Andy put together a great day of varied and challenging yet safe climbs that met all our needs. We learnt a lot and came away with happy memories of a good day out! Many thanks. The staff said the day went really smoothly, that the 3 of you were brilliant and they felt like the young people were very safe. I can’t possibly thank you enough for organising this amazing trip for us!! Just to let you know we had a fantastic day yesterday with Gavin and Ben. They are great guys and work well as a team. We had a lot of fun with them and they are both very capable climbing instructors. We felt relaxed and safe with them and did 5 climbs each including a very severe!